With the $200 iphone price cut from Apple and the free iphone unlock software available, there is a surge of sales for iphone… “worldwide”. You can expect more and more people trying to search for iphone related information or stuff online. 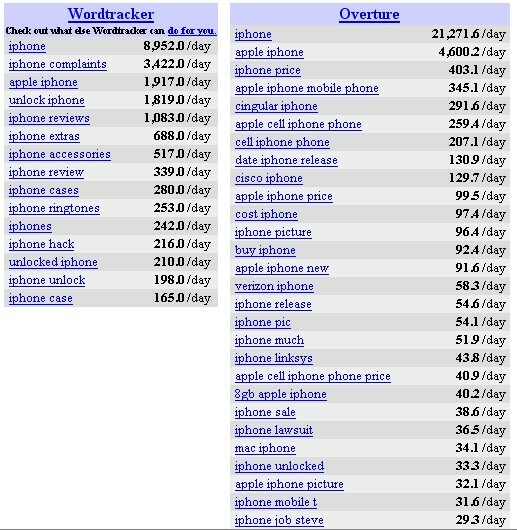 Check out the number of searches for the term “iphone”. Over 20k searches daily! Some simple ideas flow in my head. Websites that we can consider to setup. There are many iphone sites coming up definitely. Since alot of people like to setup directories, why not setup an iphone directory listing iphone apps, iphone blogs, iphone forums, iphone sites, etc, instead of setting up more boring typical web directories. Similar to directory but this is more specialize. It should provide not only a comprehensive list of iphone applications but also with author review and visitor reviews. Based on the app list in ibrickr, there are many new useful and fun iphone apps emerging every week. This iphone game site made its layout best view in iphone. There are definitely lots of people encountering problems unlocking iphone, using of iphone, asking of iphone apps, asking where to buy iphone accessories. Since local shops (outside US) might not have iphone accessories. Those iphone owners will most likely get the accessories online. So setting up an online iPhone accessories store or eBay store with iPhone stuff is quite do-able. You can do dropship or resell of 3rd party iphone accessories. Follow the crowd… setup a blog and post any info and news about iphone. Since your talking iPhone, what’s your take on it? Do you like it? Good or bad? 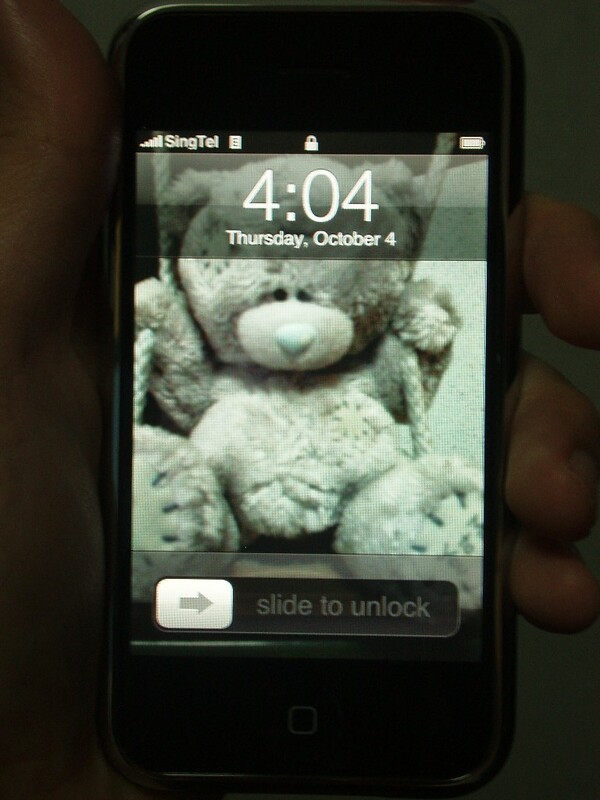 As i mainly use my phone for calling, sms and probably listening to music, i am quite satisfied with the iphone. Except it cannot forward sms, no radio receiver functionality, cannot change battery easily. There are people sueing over iphone battery replacement. Thanx for ideas. Went to create sites.